With a gorgeous collection of single-family, townhouse, and condo-style living solutions, Chaparral offers a home style for every family type and budget. Explore the home styles below and discover Chaparral’s fantastic collection of real estate opportunities. Chaparral homes are luxurious and beautiful, and the architectural styles of their floor plans reflect this excellence. Chaparral is one of the best places in Calgary to find homes with more than five bedrooms, though smaller houses are available as well. Most of the 2-storey masterpiece homes come complete with an array of upgrades and modern comforts, often including spacious naturally-lit rooms, granite countertops, hardwood floors, and stainless steel appliances. The majority of Chaparral homes have street-facing garages, many of which are doubled-up and oversized. Chaparral’s townhouses feature beautiful open floor plans and plenty of upgrades that allow homeowners to live in supreme comfort without the costs of a single-family home. Townhouses in Chaparral are a popular option for first-time home buyers and retirees, although the right townhouse layout will work for nearly any buyer. For those who desire a low-maintenance, easy-going lakeside lifestyle, Chaparral’s condos may be the right fit. These low-rise living spaces tend to show off their beauty with minimal effort, and offer the perfect compromise for individuals who are looking for a budget-friendly property in the Chaparral community. Enjoy all the recreational benefits of this popular community, without any of the work. 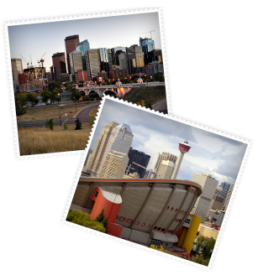 The Calgary Real Estate Advantage team would love to introduce you to your dream home in Chaparral. View current Chaparral real estate listings or call 403-968-1496 to get started!